Creating a website used to be something that was geared towards those who went to school, learned coding, graphic design, and then had an idea, or someone would pay them to create a site for them. It wasn’t for those who just had an idea but had absolutely no background on how to go forward. It wasn’t for small businesses who really didn’t have the funds to utilize because they were just getting off the ground to let them create something professional to give them the ability to market their product, their service, their restaurant. In addition to that, everything used to be created for desktop use. But that isn’t what people are looking for anymore. People who are running businesses or selling something want to be able to cut costs and do things are their own, but they want something that is inviting, they want something that they can feel proud of. They know that they absolutely need something optimized for mobile use. Considering that mobile use surpassed that of desktop use in 2016, it’s better to create for those devices. Sites that are created to work well on mobile devices tend to rank higher in searches, and that means potentially better revenue and visibility. That’s what Mobirise offers you, the regular Joe, the ability to create something professional, but also simple and cheap. 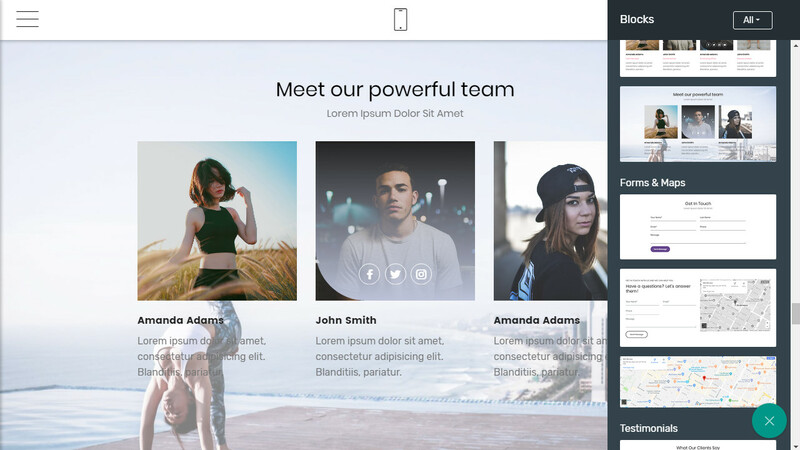 Mobirise Website Builder is an app that works offline for either your Mac of PC to help create websites, landings, resumes, portfolios, events, and products. That means that you can work on what you want to create without having to use Internet or find a café with Wi-Fi available (although that also isn’t necessarily difficult these days). Mobirise offers something unique, it’s free for those who are using it commercially and for a non-profit use. And it’s easy to use which means that anyone can use it. A quick look at their product shows just how easy it is to start creating. You can write inline and easily click to change things. 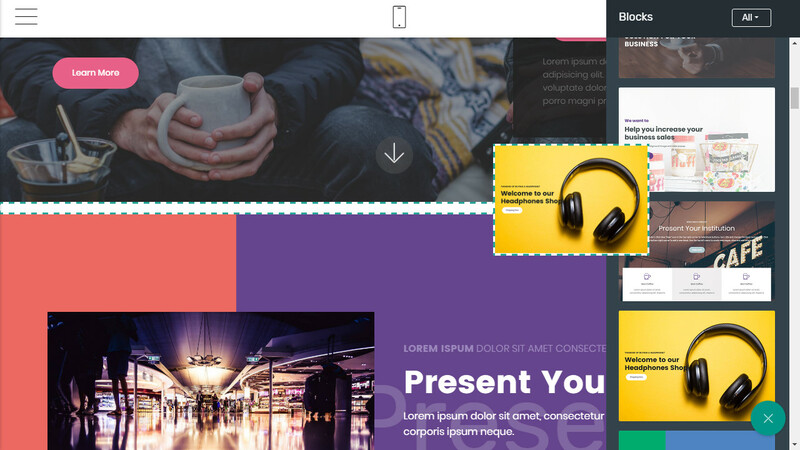 It’s pretty similar to using PowerPoint and how the editing in there is amazingly simple, and this is a website designer. You can easily review the site and see what it would look like on multiple devices (think tablets and phone) and then you can publish it. Again for free with no restrictions. Some of the additional options that they offer you when creating your site and some of the features that your site can have are swipe sensitive slideshows (because swiping on mobile is much easier), contact forms linked directly to your email, menus that are optimized for mobile, and Google Maps integration. And finally the all-important social linking, because you can’t have a regular site without linking it to your twitter, Instagram, and Facebook at least. The great thing about Mobirise is that you don’t need any training or schooling beforehand. It’s drag and drop then create to make it to your liking. And while you might think that this is something that will give everyone’s page the same look, there are too many options to even allow for that to happen. You make the site yours and yours alone. This is one of the best Free CSS Templates for Mobirise that is tailored to hotels that want to create their own site. While you might be thinking that large hotel chains already have sites and you might be rights, but those smaller resorts, new places that are waiting to be explored off the beaten path, those are the ones that need something like this. 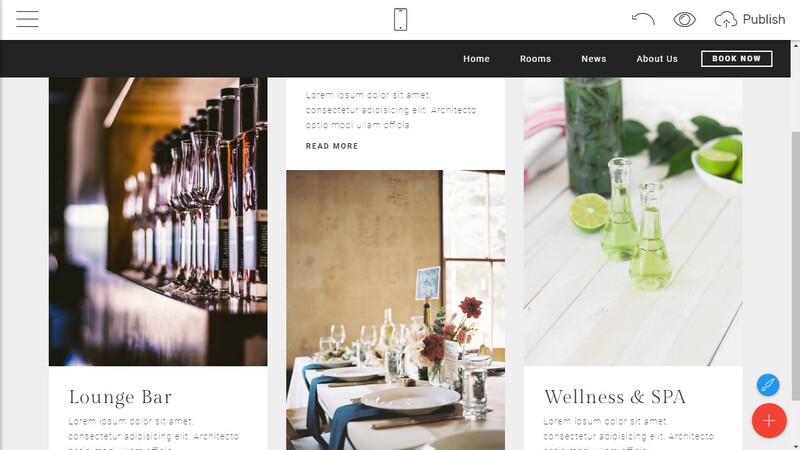 Having an free Bootstrap Template that offers a multitude of Free CSS Templates directed towards the hospitality industry makes the creation of the site that much easier. Geared towards those who are selling something from sneakers, to coffee, to a service. It’s easy to create a site with something already laid out for you. Consider that you already have the framework, now all you have to do is add your personal touch, add the information that makes you and your business just that, unique and special. You can put in pricing, work schedules, team bios, and social connections as well (highly important). You want your new restaurant to succeed right? That means having a site that gets the information out there that you need, but also beautifully. People are more likely to go to a place that they can see the menu and prices and the hard work you put in both the food and the site as well. 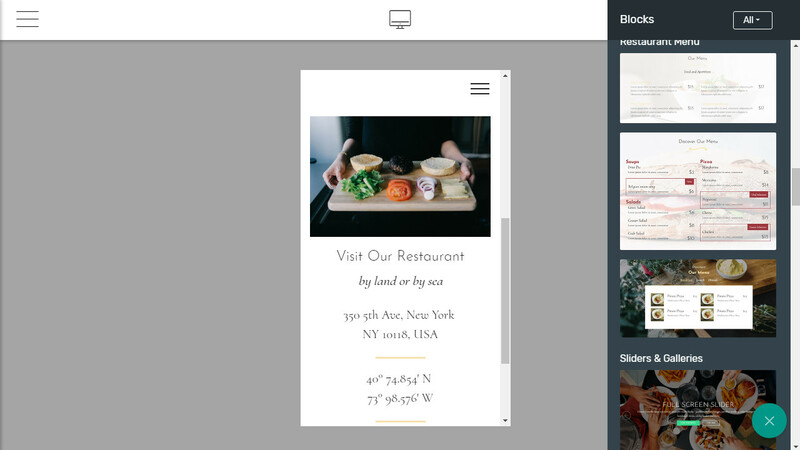 This is one of the Free CSS Templates that allow for having something partially preset where you can then add your own pictures, menus, and prices all in a site that is easily navigable on a mobile device. Plus linking your social media and review sites is essential. The better the word about your place, the more likely people are to visit and visit regularly (plus the good food). 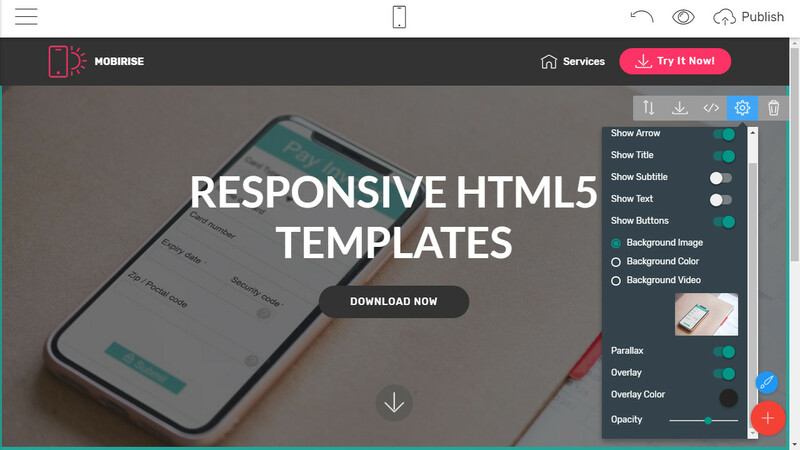 Another e-commerce extension from these HTML5 website templates, but one geared just towards your products and your shops. If you make clothes, make sneakers, artwork, whatever the case may be this Bootstrap one-page template is made for you to easily upload and show off your brand and your designs. You can put up your prices, reviews, comparisons, FAQ’s and again, link to Google Maps so people can find you. 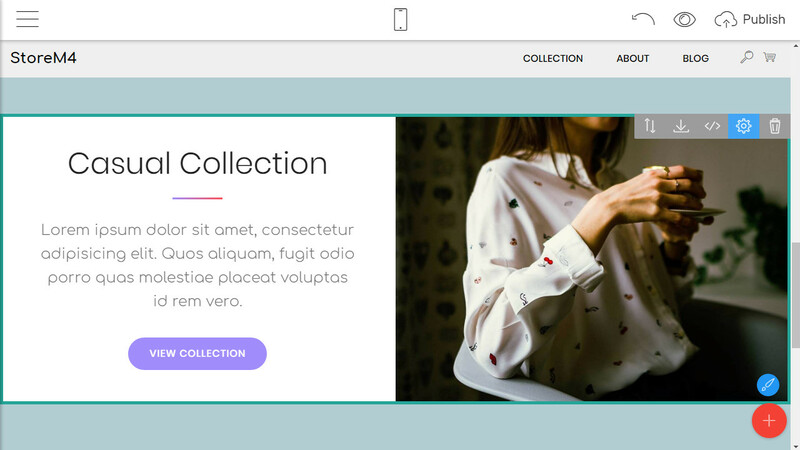 Want to have a site for all your stuff; this one of the free Bootstrap templates most certainly is for you. Everyone is praising Mobirise and it’s ability to make a site that is beautiful, professional, easy to use, and free. Most are reasoning the ability for the site to create mobile sites is a huge benefit because that’s where we are in life right now. While there are Free CSS Templates? some templates are not free, the initial website builder is so you have that option to start from scratch as well. So if you are someone who wants or needs to create a site for your hoppy or art, take the plunge and utilize Mobirise, as you will not be disappointed.